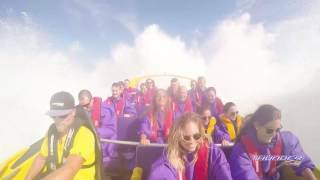 For high-speed thrills on beautiful Sydney Harbour, Thunder Jet Boat is a jet-boating experience that will give you an adrenaline rush as it darts about the waterway. You’ll enjoy the exhilaration of whitewater rides with spectacular spins and wave-riding. 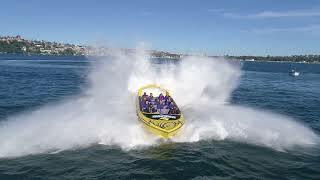 The jet boat will propel you by the iconic attractions of Sydney Harbour. Operating every day, visitors have the option of rides of 30 or 45 minutes. The vessel is also available for private charter. Thunder Jet Boat departs from East Circular Quay daily. Go to jetty 1 on the eastern pontoon, a short walk from ferry wharf 2. The 30 min ride departs every hour, from 10.30am to sunset in December, January and February, and from 11.30am to 3.30pm in other months. The 45 min ride departs daily at 12.30pm. Children must be more than 120cm tall to go on a Thunder Jet Boat.